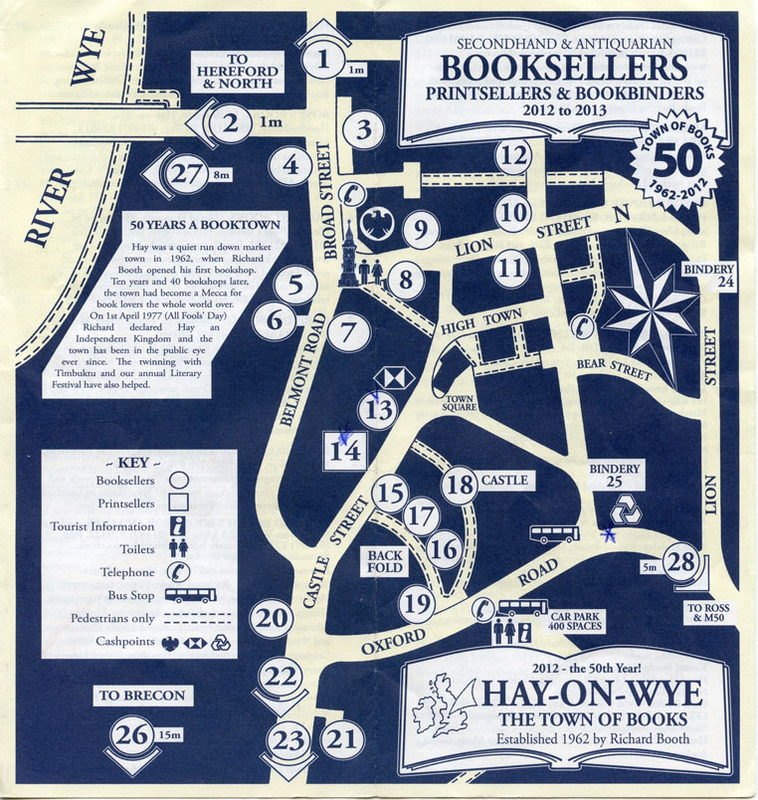 Hay-on-Wye lies on the east bank of the River Wye and is within the Brecon Beacons National Park, just north of the Black Mountains. The town is situated just within the Welsh side of the border with Herefordshire, England. This town is a destination for bibliophiles, still with two dozen bookshops. Most of these selling specialist and second-hand books, although the number has declined sharply in recent years, many becoming general antique shops and similar. It wasn't the first time I'd come to Hay and this shop is always a certainty. And again I came away with a few titles. number three has a marvellous selection of photobooks. All three provided excellent finds me, I spent a fortune! The castle seen from the bookshop seen on the top photo. History of this castle is on that Wikipedia page. There is no access behind the castle walls. the town had become a Mecca for book lovers the whole world over. Hay Cinema has a really huge selection and if one has the stamina one could spend a day here browsing. Inside the Hay Conema Bookstore. Our B&B at Woodleigh Cottage was a great success: we rented the whole house! The kitchen of Woodleigh Cottage. Truly the best B&B we had during our entire trip this time! (Offa's Dyke Path is behind this church) and for lovers of mountain biking (to name only a few sports). I kept my walking limited to a stroll with the camera. And lugging big bags filled with books.